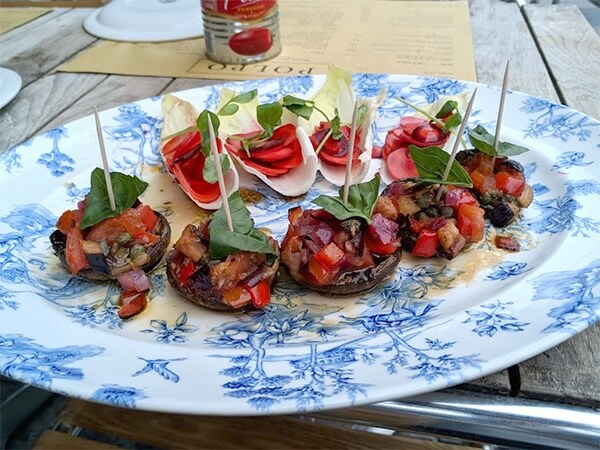 This month I got to attend the relaunch of POLPO which was brilliant!! Apart from that, I’ve not actually been out for any food this month!! I bought this super cute jumper from H&M. 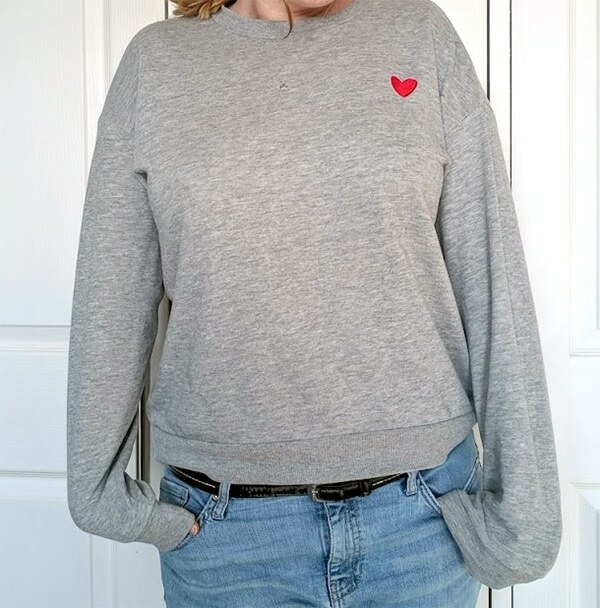 I’m a sucker for a grey top and I love the little red embroidered heart on it ❤️ I think it was £8.99 but, as I still had some money on an old gift card, it ended up costing me 97p!! 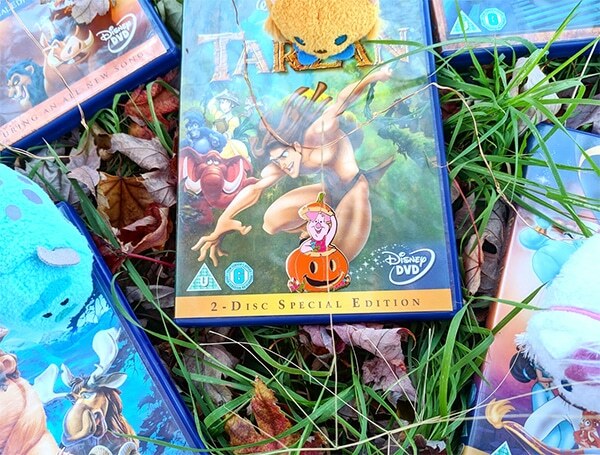 I’ve felt a bit meh about blogging recently; where I fit into the blogging world, what I actually have to offer etc. Although I don’t want to quit my blog, I’m possibly going to take a small break until I can find some inspiration again!! I’ve honestly not wanted to do anything with the house recently. Work (and new medication) has left me feeling super tired this month and I just want to spend my weekends relaxing, doing as little as possible!! 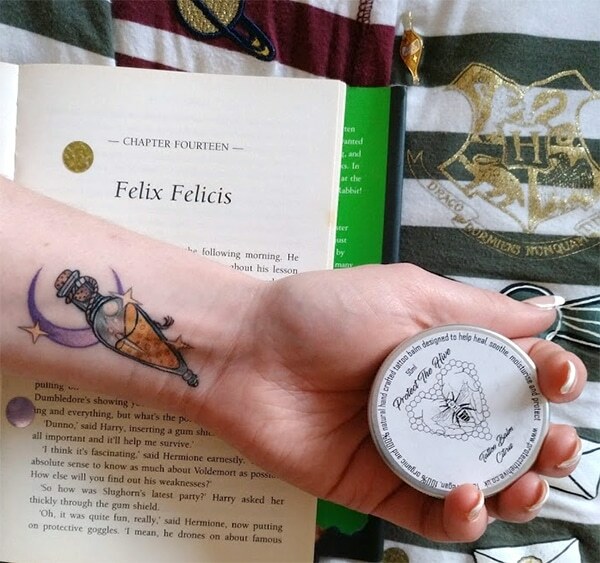 I mean, technically I got my Felix Felicis tattoo at the end of August, but I didn’t mention it in my August catch up as I hadn’t actually had it done when it went live!! I’m so happy with it and you can read about it more in my tattoo post!! 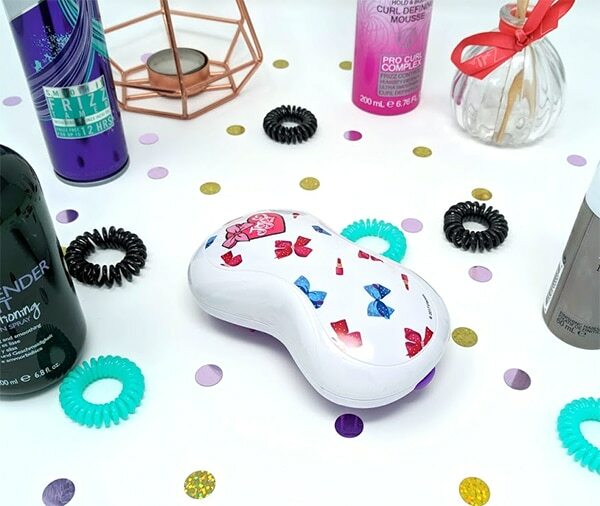 I’ve been absolutely loving my new brush from Hair Secretz. They recently collaborated with JoJo Siwa (yeah, me neither), an American teen YouTube sensation apparently; best known for being on series two of Dance Moms, wearing hair bows and something to do with Nickelodeon!! If I’m being honest, I’m probably not exactly their demographic, and the design is a little too cutesy for my liking (I’d have preferred the purple which had food on it, but they were all out) but the brush itself is actually pretty good! It’s really easy to hold and the bristles are plastic and quite pliable. It’s also dual-sided; with one side for de-tangling and the other for styling. 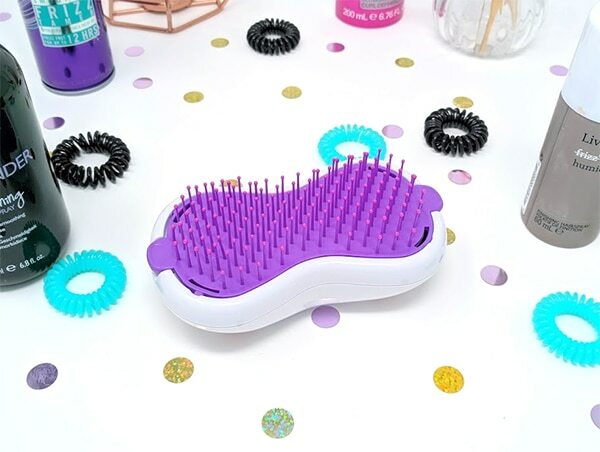 Once you take the bristle pad off, there’s a secret compartment to hold hair grips!! 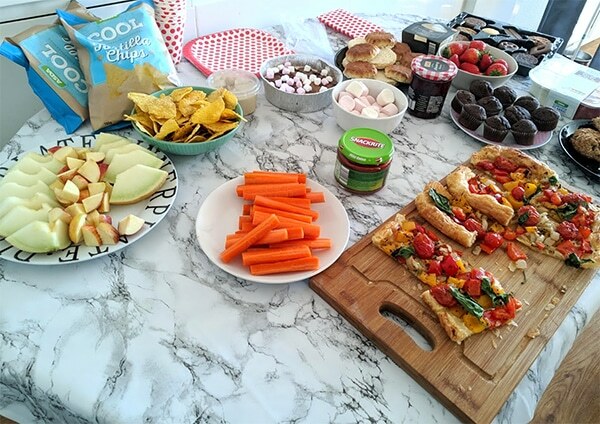 At the end of September, I was invited to a girly afternoon at Rachie‘s house, who I’d met at the Yankee Candle event with Katie (who had also been invited!). It was really lovely to chat to Sarah and Lettie more as I’d met them briefly at the Eco Spa event. It was also lovely to meet a couple of friends of Rachie’s; Danni and Chloe!! 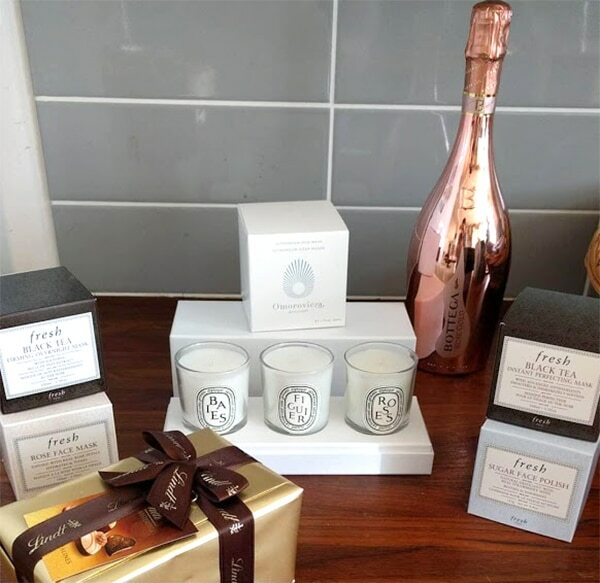 We were very kindly gifted a parcel from World Duty Free that had face masks, prosecco, Diptique candles and chocolates in it!! First up is Bekah over at www.bekahwrites.com! 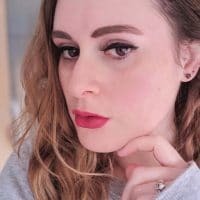 Bekah is an American blogger who’s written some fab parenting posts, plus a post about being an adult and living with ADHD! September flew by! 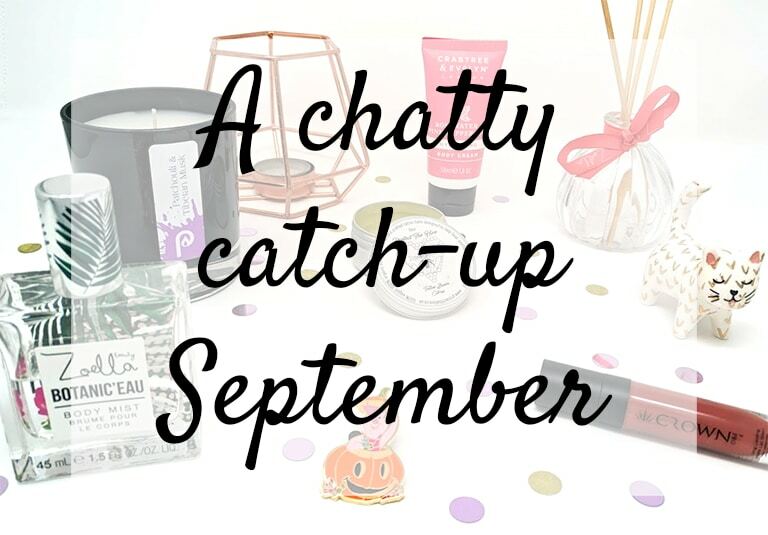 We had loads on in September, and it was Dougie’s second birthday so that involved a lot of celebrations. I’ve heard such good things about Polpo, and I LOVE that jumper! I do love reading your chatty posts. So glad you had a wonderful time at the Yankee Candle event, the food looks delicious. 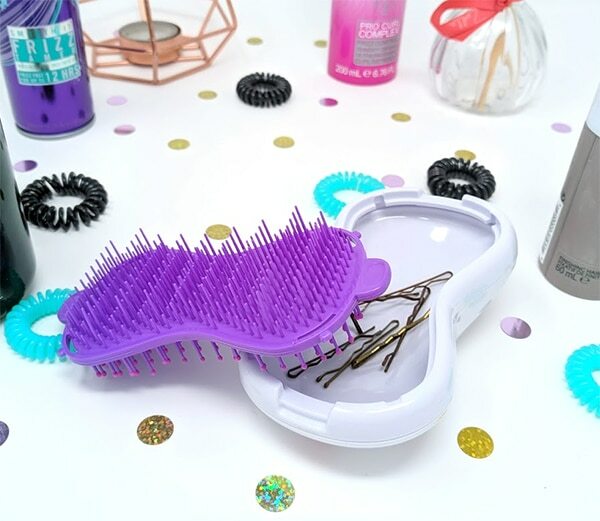 That hair brush looks super cute, just perfect for keeping in your bag.